Micro Air's new 20-page brochure details "Breathe-Easy" Solutions for providing clean, safe air in a multitude of industrial processes that generate toxic pollutants...pollutants that are harmful to personnel and facility equipment. Micro Air collectors are engineered and designed to capture and remove indoor pollutants generated in a variety of industrial processes such as welding and cutting smoke and fumes, dust generated in blasting, grinding, sanding, polishing & mixing processes, blasting operations, woodworking processes as well as mixing and food processing processes. 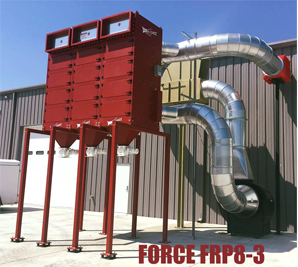 The brochure provides an overview of the most complete line of dust collection on the market today, including Force™ (FRP) and RP dust collectors. It details Micro Air's proprietary Roto-Pulse® filter cleaning system, Intelli-Touch™ energy savings controls, XAM downdraft tables, HydroMax™ wet collectors, self contained clean air booths, source capture arms, and portable collectors, as well as ambient capture collectors. Trust Micro Air for Breathe Easy Solutions for Clean, Safe Air. Looking for Breathe Easy Clean Air Solutions, for removal of contaminants generated in industrial processes, in your facility? Visit us at FABTECH 2018, November 6-8, Booth # C13108 at Georgia World Congress Center in Atlanta. 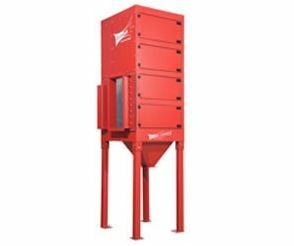 See the latest and greatest in industrial dust collection equipment. Visit Micro Air Booth #121324 at IMTS 2018, McCormick Place, Chicago IL, Sept. 10-15, 2018 for the latest in Breathe Easy solutions for clean, safe air in industrial manufacturing processes. Micro Air will be closed, in observance of Memorial Day on Monday, May 28th, 2018 and will return to regular business hours on Tuesday, May 29th. Safe travels to all on this Memorial Day weekend! The direct final rule will go into effect on July 4 unless OSHA receives significant adverse comments by June 4. For details, see the news release. EXTREME AIR-MAX Downdraft tables, designed for safety, incorporate a baffle spark arrestance design that supports more weight, provides ease of maintenance and offers ultimate protection from sparks reaching the filter media. The line, consisting of four sizes, supports a large variety of applications:and each table can be configured to meet end-user specifications. Watch the XA23M video now..
MICRO AIR® FORCE™ FRP8-3 - 24 cartridge collector at a cabinet manufacturer captures fine, fibrous dust produced in woodworking operations. Micro Air's FRP8-3, equipped with Explosion Vents, Spark Detection/Suppression System, Backblast Damper, Airlocks, and Abort Gate meets all OSHA/NFPA compliance requirements for combustible dust. Micro Air's custom fabrication capabilities meets customers unique needs for a custom stand to accommodate a 7' x 7' dump cart that rolls in underneath the hoppers. Will you be a part of the Industrial Evolution at FABTECH 2017, November 6-9 in Chicago? Don't miss the opportunity to see the latest and greatest in Environmental Clean Air Products...Stop by Micro Air Booth # B20087. See Micro Air Clean Air Solutions on display at WESTEC 2017, September 12-14, 2017, Los Angeles Convention Center, Booth # 1514. Micro Air announces the upcoming launch of the new FORCE™ line of Dust Collectors, offering a new level of technological advancements in controlling dust and fumes in a variety of plant applications. Exclusive Roto-Pulse® filter cleaning system dramatically increases filter life, reducing filter replacement costs. Refined engineering features include true ledge-less design that eliminates dust build-up inside the cabinet for OSHA / NFPA compliance. Heavy-duty valve system is rated at the equivalent of a 20-year life expectancy, and will not require heaters in cold climates down to -40º. A long list of features and options includes expanded surge tank, heavy-gauge galvaneal steel construction, paint options, and available full electric control packages. Factory engineering available. Micro Air is exhibiting at the Metalcasting Congress Expo, Booth 915, April 21-23, 2015, in Columbus OH. With the OSHA proposed requirements on respirable Crystalline Silica, and health hazards associated with inhalation of silica, Micro Air is positioned as the "one-stop-shop" solution. 4/16/15--We are pleased to announce that our new website is live and ready for the world to view. We have completely redesigned our layout with simplicity, ease of use, and accessibility in mind. It will be a tool for both fulfilling our mission and helping us provide better resources to our customers. This new website will keep pace with our rapidly growing organization by rolling out new content, educational programs, and other initiatives in the coming months. This includes providing better information to our corporate clients, and integrating more with social media. We hope you enjoy the new website. Please feel free to send us comments or feedback. On behalf of all the Micro Air staff, thanks for visiting!